1. Specific – Consider who, what, when, where, why and how in developing the goal. 2. Measurable – Include a numeric or descriptive measurement. 3. Achievable – Consider the resources needed and set a realistic goal. 4. Relevant – Make sure the goal is consistent with the mission. 5. Time-bound – Set a realistic deadline. We’ve created a worksheet to help you create a SMART goal and provided instructions to complete it in your goal-setting session. In order to get your creative juices flowing, review the following goals and see if you can come up with additional ways to make them SMART. Sample Goal: Increase revenue from my personal chef business. This typical goal of any business lacks specificity. The author needs to detail how the increase will occur, quantify the increase and set a deadline that can be measured. SMART Goal: Increase revenue by 25% each month by catering 2 parties a month. Sample Goal: Gain more clients for my consulting business by participating in a networking group. This is a worthy goal. But, how would you know if the networking group actually helped you get more clients? Include a metric to measure progress in meeting the goal. SMART Goal: Gain 2 clients each quarter for my consulting business by participating in a monthly networking group. Sample Goal: Offer compilation services to my bookkeeping clients by September 30th. The goal is specific and measurable and is pretty SMART if there are employees available with the skills to provide the service. If not, then the deadline might need to be extended. Sample Goal: Write a fiction novel about my experience helping build houses in Costa Rica. It sounds like a very interesting book and possibly a worthy personal goal. But, If you just started an advertising agency and most of your time is spent building your clientele, then this goal may not be relevant to your current mission. It may have to go on the back-burner for awhile. Sample Goal: Create a website to sell jewelry from my store. Of course, this goal needs a deadline. Otherwise, the author may never get around to creating it. Checking off that a deadline is included in a goal is fairly straightforward. Making sure that it is realistic may be an entirely different matter. Consider all of your priorities and time constraints and set a realistic deadline. If outside pressures are making the deadline unrealistic, then look at ways to change the strategy for completion. For example, can you outsource some tasks associated with the goal? SMART Goal: Create a website to sell jewelry from my store by December 31st. Utilize a website development company to create the site and payment interface. Learn how to develop more focused SMART goals with this series of articles that provides examples, a downloadable free worksheet, strategies, and general tips. 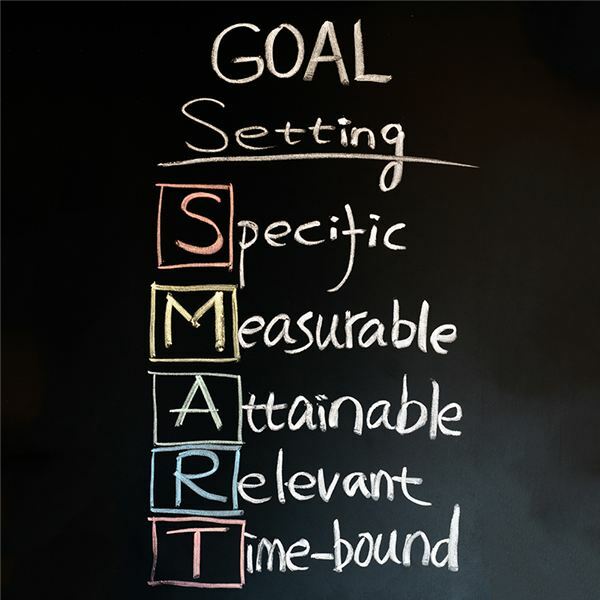 Formulating SMART Objectives: How Do You Begin?